DJI drone users sometimes wonder how best to calibrate their IMU and what exactly IMU calibration helps with. 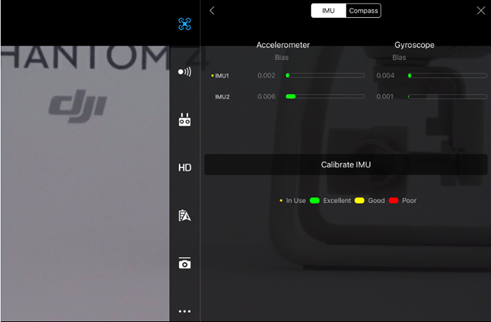 In this article, we’ll take a look at what the IMU does and how exactly calibration works. An IMU, or inertial measurement unit, is an electronic device that measures and reports an object’s specific force, angular velocity and attitude (including its course angle, pitch angle, and roll angle) using data from an accelerometer, gyroscope, thermometer, and barometer. To better understand its intricacies, it helps to understand how each component works. An Accelerometer is a device that measures proper acceleration, an acceleration relative to a free-falling, or inertial, observer who is momentarily at rest relative to the object being measured. If you’re not inputting any commands and the aircraft hovers at an angle, like in the picture below, calibrate the IMU. IMU calibration, which involves the accelerometer, will help set standards for the aircraft’s attitude and reduce errors caused inaccurate sensor measurements. Make sure to calibrate your IMU on a level surface, and don’t move the aircraft during calibration. If you calibrate on an angled surface or move the aircraft during calibration, the aircraft’s attitude will be angled by default and it won’t hover stability, even without magnetic interference or other environmental issues. 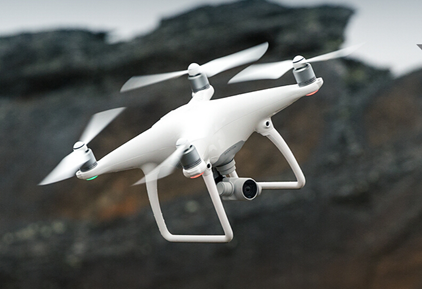 If your drone drifts a lot, IMU calibration may help resolve the issue. However, please note that hovering isn’t 100% accurate, it’s normal for a DJI drone to drift a small amount, especially in high winds. A Gyroscope is a spinning wheel or disc in which the axis of rotation is free to assume any orientation by itself. Calibrating the gyroscope helps measure and maintain the aircraft’s attitude, so it can hover as stably as possible. 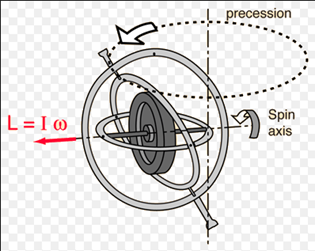 The diagram below shows how a gyroscope works. When Gyroscope bias is too great, the app will let you know when it’s time to calibrate the IMU. A Thermometer detects aircraft temperature and, over time, changes in aircraft temperature. 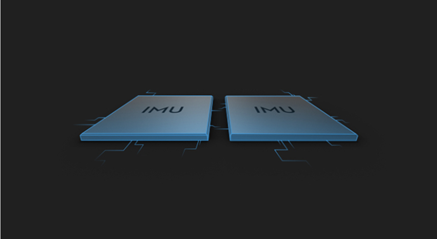 Each time you turn on your drone, the IMU needs to warm up to the temperature at which you last calibrated. For example, if you calibrate the IMU at room temperature, the next time when you start the drone, it needs to warm up to room temperature before its ready to fly. Sometimes pilots get frustrated if their IMU takes too long to warm up. The drone may be taking a while because the IMU was last calibrated at a relatively high temperature. This is why we often recommend calibrating while your drone is cooled down. For example, trying placing it near an AC vent or unit before calibration. 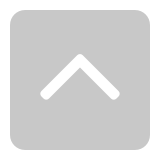 On a DJI product, the Barometer measures changes in height. If you’re experiencing altitude drops during flight, then trying calibrating your IMU, so the barometer will reset and function normally. Now that you know the IMUs components and what they do, you know which problems IMU calibration can help solve! To calibrate your IMU, just go to MC Settings. Also, some of our products have multiple IMUs. If your drone has more than one, make sure that each IMU is 100% finished calibrating before flight. Make sure you cool off the aircraft before calibrating, put it on a flat surface, don’t move it during calibration, and ensure it has at least 50% battery before calibration. 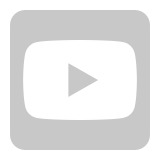 The whole process takes 5-10 minutes, and here is a tutorial video you can refer to! Thanks for reading everyone! Feel free to share any IMU calibration tips and experiences of your own. DJ Natty Nat, this is gold for a new drone user such as myself. I appreciate these tutorials. Maybe academic for more seasoned pros on this forum but for me, its stellar! Natilia, I think this is a good post, especially for those who are just beginning! A lot of us have had to learn some of these things the hard way. You give specific information about how it works and why to do it. Good job. I should then re-calibrate the IMU outdoors, since the outdoor temperature is now in the 30&apos;s. The last time I calibrated it was duing summer, and even though I placed it in front to the AC for 30 minutes, the temperature was in the 60&apos;s then. Or is the temperature in the mid 30&apos;s too cold for the IMU calibration? My IMU has never said it needs calibration yet. I have not been able to fly very much at all though. My outdoor temps here in northern Idaho are pretty low, like 29F. Thanks to everyone for their help and sharing of knowledge. Would starting the drone up on a moving surface create an IMU calibration request? I was trying to launch my Mavic earlier today from a kayak and it told me to do an IMU calibration, so I decided to skip the flight. I recently updated the firmware and did a compass calibration before I went out on the water. Trying to figure out if it was the recent update or being on the kayak that initiated that. I am concerned that the chips they use are not MIL STD type, so they may not operate normally below 32ºF. Once the temperature is below the normal operating temperature, then it&apos;s in "God&apos;s Hands". Some devices may operate normally, some may not. The critical circuits are the smart batteries and GPS. If the devises controlling those 2 functions start going outside spec due to low temperature, then all bets are off. Some may get lucky and are able to fly below 25ºF, by having devices which operate within spec even below 25º F, but then again, why take a chance? Last year a friend flew another drone type to get a gorgeous video of a frozen marina, but then he had to pay $150 for someone with a boat to get his drone which fell from the sky in a near-by bird island. the fact you just updated the FW may account for the IMU request. Having never attempted a moving take off I cant answer that one! Once the Quad has been cooled, the IMU recalibration should be done immediately the moment the Quad is turned on. The longer the quad remains idle, the warmer the internals will be and the higher chance of failing the IMU recalibration. Therefore, users need familiarise themselves with the GO app to make sure you know where the IMU sensor calibration screen is. A good recalibration should take less than 90seconds. Please mention about using spirit/bubble levels to find a levelled surface. It must be levelled in both axis to get a perfect IMU. A perfect IMU is when the Quad is >15m in the air and is able to do high speed yaw spins without drifting outwards. Has to be >15m just to make sure that your VPS is NOT assisting. A couple of day ago i bought a new P3S. First flight with no problems. After the first flight the app said that there&apos;s a new firmware. So i do the update. On my second flight i mentioned that the video signal is lost just after 50 meters, but i can returned. I read a lot here and once someone from dji meantioned to downgrade the firmware to see if the problems will be fixed. So i downgrade the P3S Firmware to 1.6.07 without any errors, but after restarting the copter a mcu Error lights up in dark red and it says that the barometer has an error. I still tried to calibrate the IMU, and/or up- and downgrade the firmware again. The error is still there. Anybody a suggestion how to fix it? I don&apos;t think that it is a hardware failure, cause it just happened while downgrading. You have tried to upgrade the aircraft again with the latest firmware again successfully, right? the RC can link to the aircraft properly or not after upgrading? If the error persist, it needs to be sent in for evaluation by our engineers. You have already replaced the aircraft, upgrade it then get the same error message? Would you please provide us a screenshot here? Sorry, i would, but i exchange it again. Get the third one! Powering up the accus now. hopefully this time works everything well! OK, hope this one works great. Can you cover (once and for all) :-) the best way to achieve a cold IMU calibration so that start up times are shorter. Stays in the the fridge are discouraged because of the possible moisture forming. Does it hurt (now that it&apos;s winter) to leave it outside for 30 minutes or so and calibrate on an outside level area? 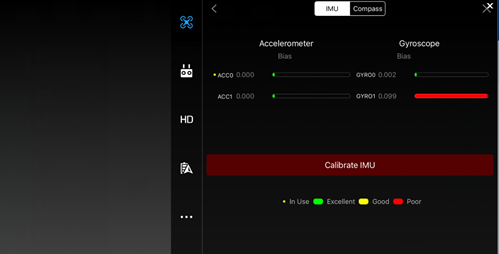 I also calibrate the IMU after any AC firmware update.. Is that necessary or just a recommendation? Thanks for the excellent post. Quote from Ardupilot - "Using an IMU heater should improve IMU stability in environments with significant temperature changes." The aircraft must be stationary or not accelerating at start up. @Natalia ... Finaly the third new P3S works fine! Really glad to hear it&apos;s working great, enjoy! Do you have any error message on the APP screen? Please help confirm the current firmware version, if it&apos;s not the latest, please upgrade it firstly and then calibrate IMU again in a very level surface. I have a perfect IMU test and calibration, yet it fails initialization at startup along with a barometer error every time now after a flawless flight then battery change. No crash, just a soft landing and fresh battery. So apparently with the IMU error comes a partial gimbal and camera power disable or "safe mode" which prevents me from being able to rollback the firmware to see if that corrects it or not. I am close to parting out my I1 and going back to a hobby I can rely on that doesn&apos;t tease me or fly away.